Can House Ants Harm Me? One of the most common pests that homeowners have to battle is ants. As you may know, there are several types of ants that create colonies and make their presence known within kitchens, bathrooms, and outdoors on your sidewalk, driveway, and yard. 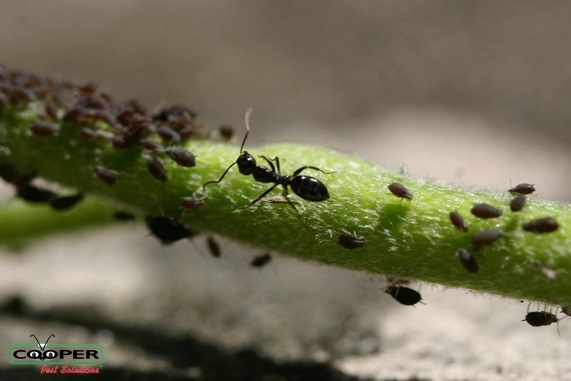 While many people can live with ants and accept their presence (as long as they are not near a food source), once they begin invading pantries and crawling on food, ants become a real concern. This begs the question: Can I eat food touched by ants? The five-second rule should not even be considered if ants have touched your food. Sharing a snack with ants can have unexpected consequences no matter how innocent the act can sound. Most ants create colonies where they can thrive which means they are constantly in search of a food source for survival, which can lead them into your home. A kitchen is a perfect area for ants to infest with the potential for crumbs, dog food left in bowls, penetrable food packaging, and food such as fruit left out on tables and counter tops. No one wants to find pests in their home, but it can happen to virtually any homeowner. Ants typically live outside, sending scout ants away from the colony to search for food. These explorers are usually the ants that you find in your drain, on the floor, and around food items. Human food is also appealing to ants. Once the scout finds a food source, they signal other ants to follow his trail and continue to take food and bring it back to the colony. The number of ants following this same trail grows as their food source remains available. What kinds of ants are in my house? Pavement ants are small, black or brown ants that create small hills of dirt or sand in the areas between slabs in the sidewalk or your driveway. These ants are relatively harmless but can make their way into your home if they find an easy entry point. Pavement ants do not cause structural damage, but some clients do not like their presence on their property. “Sugar ant” is a general name for ants that are attracted to sugary foods. If you see a sugar ant, you can be seeing Pharoah ants, acrobat ants, or odorous house ants, being the most common. Odorous house ants are a little bit less than a ¼ inch in size and dark brown or black. Their most distinct feature is the coconut or pine odor they give off when crushed. Sugar ants go after sweets in your pantry, especially when the packaging is penetrable such as cereal boxes. Carpenter ants are classified as a “wood-destroying insect,” most literally meaning that they destroy wood in, on, or around your home. These ants are more easily differentiated by their black color and size, usually larger than ¼ inch. Unlike termites, carpenter ants do not eat wood. They chew it and then regurgitate to make their pathways. One sign that you have carpenter ants are small piles of what looks like wood shavings. This is called “frass” and is the disposed of wood left behind. What attracts ants to my home? You may be wondering, “Why are there ants in my food?” The main reason why you are see ants in your home is that they have found a food source. Common food sources for house ants are pantry items in unsealed containers such as granulated sugar, cereal, and dog food. Moisture and easy entry points such as broken or leaky pipes and cracks and crevices around the foundation of your home draw them indoors. Do ants contaminate food? Are ants dangerous? The biggest concern with ant infestations within your home is the potential for disease. Ants are constantly moving back and forth, indoors and back out, picking up germs along the way. This means that bacteria living on the ground or in your pipes can surface and spread if ants cross your food. Sugar ants are the most likely to cause infection because of their specific attraction to sugary and greasy foods such as cookies and chips. Pharaoh ants, another type of sugar ant, are known to be carriers of Staphylococcus, a bacterial infection that humans can contract. There is also a chance that you can contract salmonella from eating food that ants have come in contact with. By crawling across your food, they can spread salmonella for you to ingest. The best way to avoid these situations is to engage in proactive ant prevention measures and professional ant control services. How can I prevent ants indoors? Although prevention is key, it isn’t always enough to avoid infestation. Can Cooper get rid of ants in my house? 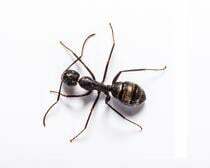 Cooper Pest Solutions offers the best ant control in NJ and PA. Our services differ according to your unique needs. Please read the options below to find your best fit. Our Home Traditional Program is a general maintenance program that provides year-round coverage for your home against over 20 common household pests. This includes cornfield ants, field ants, flying ants, honey ants, odorous house ants (sugar ants), and pavement ants. Carpenter ants are not covered by this program. A state-certified Cooper technician will visit your home on a quarterly basis to ensure that your home is pest free. Service calls in between services are free and unlimited. The Home Intensive Program is another year-round, general maintenance program that encompasses all elements of the Home Traditional Program and offers additional coverage. Among cornfield ants, field ants, flying ants, honey ants, odorous house ants (sugar ants), and pavement ants, the Home Intensive Program also provides coverage for carpenter ants. The One-Time Ant Control Service is a single treatment that targets existing ant activity. This service is made for a client who already has an ant problem and does not want future prevention. Coverage under the program is 90 days with unlimited service calls within that time frame. This service can be scheduled online for fast technician dispatch. Click here or click the button below to get started. Developed by Doctor of Entomology Richard Cooper, Cooper’s Carpenter Ant System uses carpenter ant biology against them to defend your property from wood damage. Our Pest Management Professionals perform detailed inspections to locate carpenter ant trails and with pinpoint accuracy, deliver the treatment. 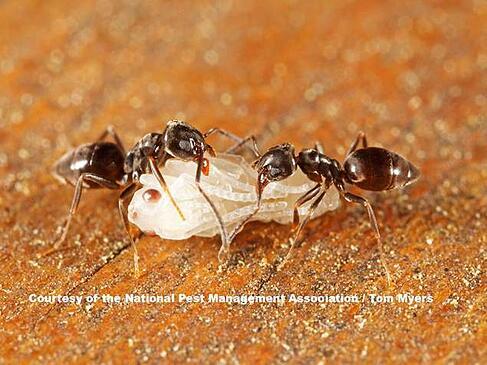 The ants feed on the bait, taking it back to the colony where it is fed to other ants, thus destroying the colony. There is no preparation and you do not have to be home as the technician will only perform exterior applications. Looking for ant control near me? Call Cooper for your ant service needs today! Fill out the contact form to the right or give us a call at 1-800-949-2667 to get in touch with one of our ant control experts.